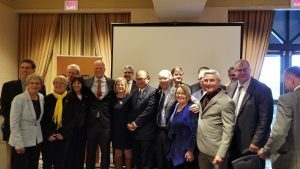 On Thursday, October 19th, the Canadian Men’s Health Foundation (CMHF) crossed the Salish Sea and arrived in our provincial capital Victoria to spend a very rewarding day with British Columbia MLAs and government officials. Health Minister Adrian Dix and his NDP and Green colleagues set their alarms for an early breakfast, where we shared with them how the CMHF and the Province of British Columbia can work together to improve the health of men in this province. 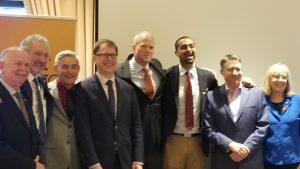 Over the past four years, thanks to B.C.’s leadership, progress is being made in addressing some alarming challenges related to men’s health and wellness: men are 79 % more likely to die from heart disease and 57% more likely to die from diabetes; they are four times more likely to die by suicide; and men account for 80% of spinal cord injuries, substance abuse, violence and crime. This takes a toll on families, communities, the health system and the economy. “This morning, the members of the Legislature met with representatives of the Canadian Men’s Health Foundation, including the founding president, Wayne Hartrick; Adam Kreek, who is their champion, and whom members of the House will know is an Olympic gold medalist from 2008; Sam Omidi, the VP of digital; and Kalinka Davis, who is in charge of business administration for the Foundation. 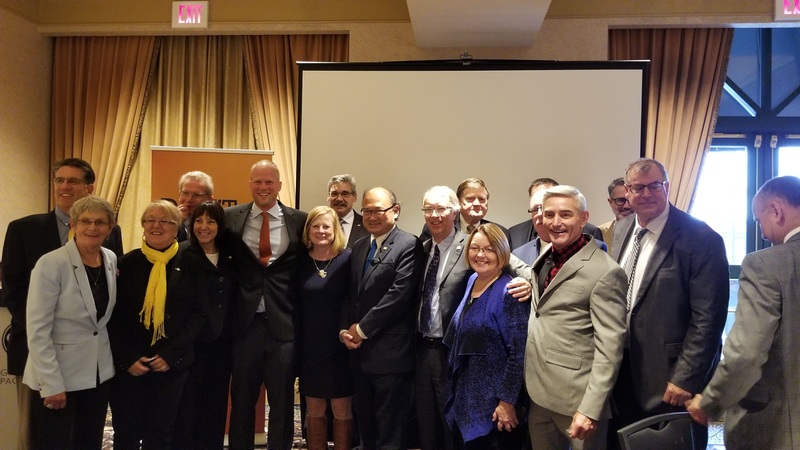 We then held a lunch with members of the Liberal party, including BC Liberal Health Critic Mike Bernier, where we thanked them for supporting our mission in BC. We wish to thank all of the MLAs and government officials who attended the events, and appreciate the questions, comments, photos and tweets. We are honoured that you graciously gave your time to better understand our mission in British Columbia.